Fitbit just announced their latest wearable device, the Fitbit Versa and I think it’s going to be a game changer for wearables and Fitbit. 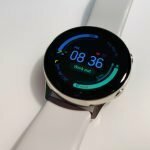 For one, I’m predicting that it’s going to sell like hotcakes to women (and probably lots of men too) and it’s going to take a serious bite out of both Apple and Android Wear’s share of the wearable market. 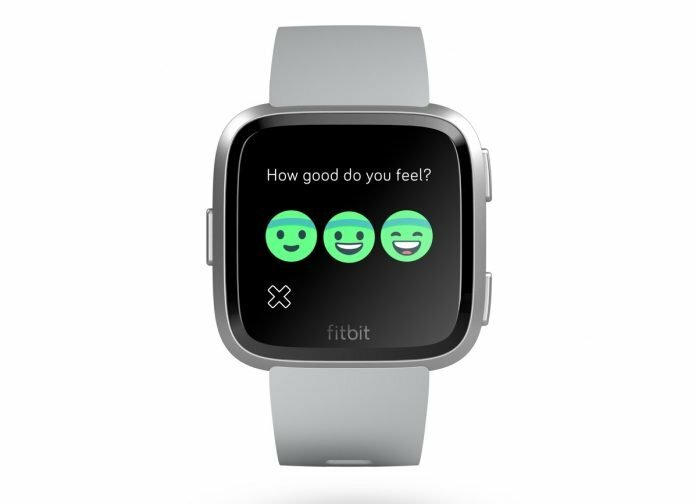 If it sells well, I can see a lot of app development occurring for Fitbit, kind of Pebble-esque. 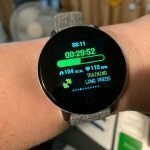 After all, app support is why Fitbit purchased Pebble in the first place. Pebble excelled in this area. Another thing I greatly appreciate regarding the Versa is that Fitbit is targeting the watch directly at women. It even has a feature to track your period. That’s bold! While men might be running out of the room right now, I applaud Fitbit for not thinking of women as an after thought. Fitbit didn’t simply make a manly looking watch and then offer it in a pink band version and pretend that it was designed with women in mind. With that said, the Versa isn’t just for women, so guys you can come back in the room. The sales of the Ionic have been disappointing for Fitbit. I’m not surprised because it didn’t appeal to me as a woman. I just didn’t care for its appearance, although it does look much better in person. It’s like photographs of me that fail miserably to capture my true obvious good looks. :) Still, the Ionic fell flat. App development hasn’t been too impressive for the Ionic either and calling it a smartwatch at this point is a bit of a stretch. Compared to the Apple Watch or any good Android Wear smartwatch, it’s not so smart. 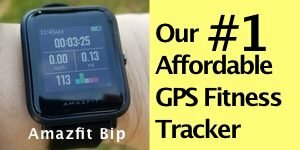 The fitness features are very good but there are a lot of fitness trackers out there that are just as good at a cheaper price. 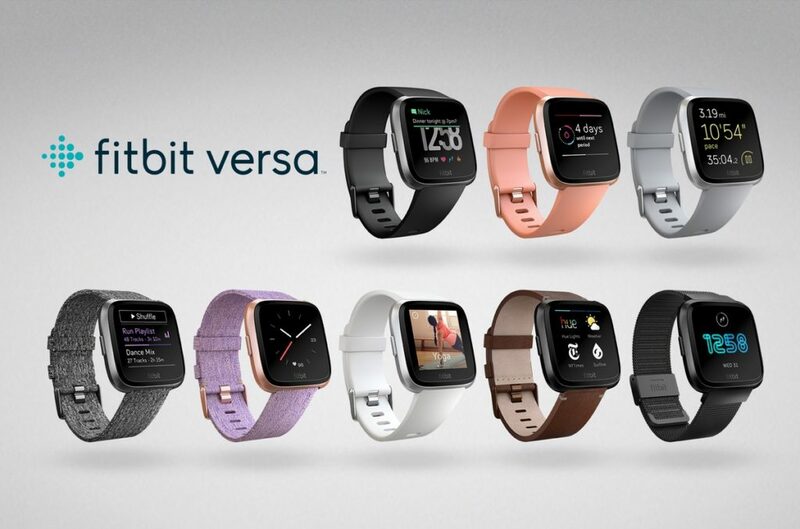 The Versa could not only be a huge hit for Fitbit but it will also have the added impact of lifting up the Ionic. A popular Versa will be a big motivator for companies to build apps compatible with Fitbit’s app store. These apps will then be available for both watches. It’s what Fitbit needs at this point to move ahead and compete with Apple in the smartwatch segment. Below: The many looks of the Fitbit Versa. 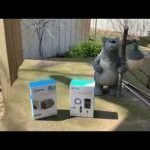 My daughter is a big Fitbit fan and currently wears the Blaze and has been considering upgrading to either the Ionic or the Apple Watch. I sent her a link of the product page for the Versa and the first thing she replied back is that it looks a lot better than the Ionic and it reminds her of the Apple Watch. She’s impressed that it’s less expensive than the Apple Watch (and the Ionic) and has better battery life than Apple. Four days for the Versa compared to one day for the Apple Watch is a big difference. Once you’ve had a watch with a longer battery life, those 1-day watches get a little annoying no matter how cool they are. So, now she’s torn between the Versa and the Apple Watch…and that’s good news for Fitbit because I’m sure my daughter isn’t the only one. The main difference that I’ve noticed besides design between the Versa and the Ionic is GPS. 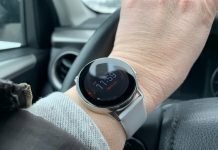 The Versa will only have connected GPS while the Ionic has built-in. I think Fitbit did this to justify the higher cost for the Ionic. Otherwise, I think the Versa is the better watch between the two in design and overall appeal. If it can encompass some of the character and personality of the Pebble Time, of which it certainly resembles a great deal, Fitbit can expect a new loyal following. 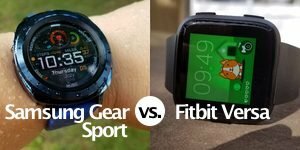 I’ve never been a big Fitbit fan myself because I’ve always thought other companies offered more attractive and featured-packed options, like Samsung and Garmin but the Versa has certainly spiked my interest in Fitbit a great deal. Of course, the true test is when I get it on my wrist. 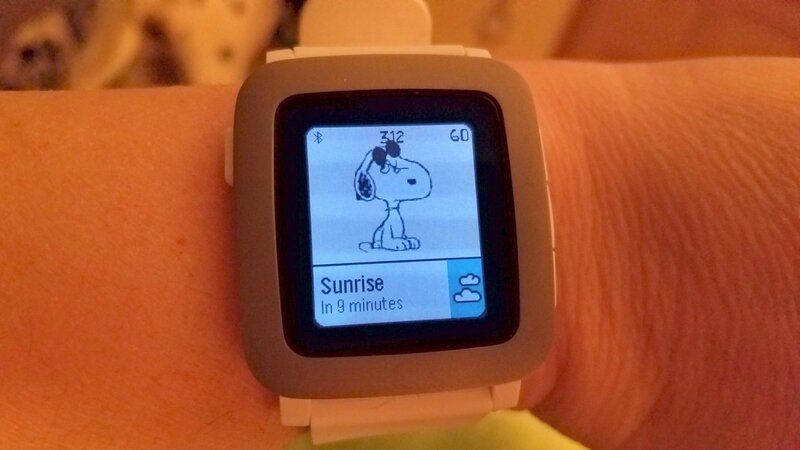 If it has inherited some of the charm of Pebble, it’ll probably stay on my wrist. 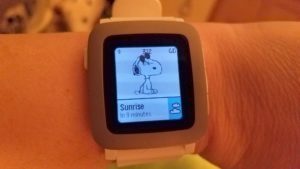 The Pebble Time has character and charm that’s hard not to love. 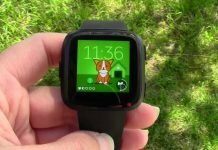 The Fitbit Versa is a watch that I will definitely be reviewing. It is currently available for pre-order on Fitbit and it’s going for $199 and should be shipping in 3-4 weeks. 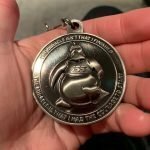 The premium versions go for $30 more. 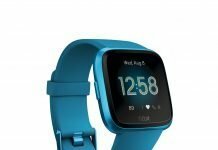 The Fitbit Versa will ship on April 16, 2018 and is now available for pre-order on Amazon, Target, Best Buy, Walmart and other major retailers. 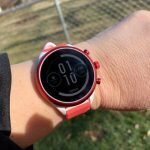 I think the Versa is going to be a game changer for Fitbit, the wearable industry, and possibly how fitness trackers and smartwatches consider women in the development of their devices. It was high time someone thought of us beyond pink watch bands and smaller size. Make sure to come back for the full review of the Fitbit Versa on The Journier.